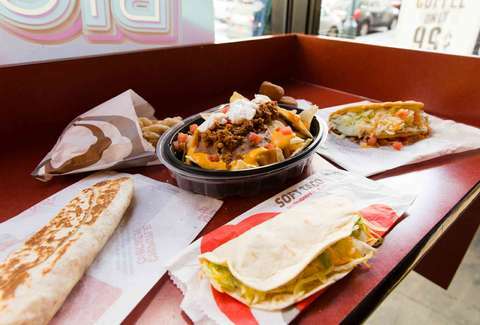 If you've ever thought "I love Taco Bell's 47 delicious menu items, but I sure wish it had at least 48 options for me to choose from," you're in luck! The company just announced today that it's bringing back an old favorite it tested out way back in 2014: Rolled Chicken Tacos with five dipping sauces. 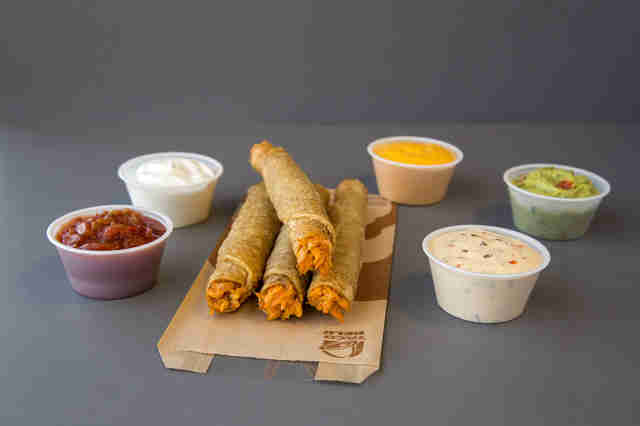 These crispy chicken tubes (basically, taquitos) will basically be vessels for new dipping sauces: Spicy Ranch, Nacho Cheese Sauce, guacamole, salsa, and reduced-fat sour cream. And the price is in line with the rest of the affordable food on the menu: a two-pack of the rolled tacos with one dip starts at $1.99. While it might seem like this is the 48th menu item at TB, if you eat the tacos with all of the different dips, it's kind of like eating a 48th, 49th, 50th, 51st, and 52nd new dish. Lee Breslouer is a senior writer for Thrillist, and hasn't had a taquito in a while. Follow him to lunch: @LeeBreslouer.